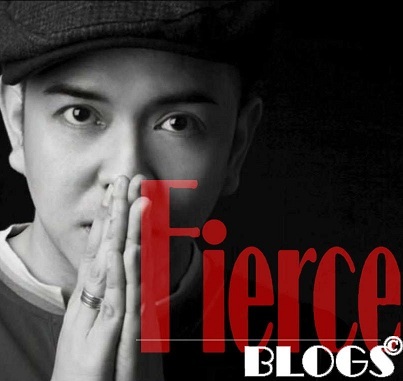 Before everything else, Merry Christmas to all Fierce Blogs readers. I've been away from blogging for a while because of my crazy schedule and at the same time to get a break from everything. 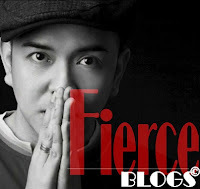 But tonight, Fierce Blogs is back with a product review. In my recent photo shoot, the make-up artist used a face and neck foundation on me that feels so light and invisible. I knew I had to check what was the foundation cream. It's called Revlon Colorstay Whipped - Natural Ochre (Ocre Naturel). Wears up to 24 hours.Talc-free and paraben-free. Bouncy, whipped formula feels ultra light and silky smooth. And these are the reasons why I instantly fell in love with it. For sure, Revlon Colorstay Whipped - Natural Ochre will be my constant companion during photo shoot. To achieve the best result when applying Revlon Colorstay Whipped Cream Foundation, you need to use a foundation and stippling brush. I just wish the can improve the packaging. The plastic cover cracks easily and I'm just afraid the foundation cream will dry up easily since it's not air-tight. Adding a spatula would also help not to contaminate the product. Overall, Revlon Colorstay Whipped - Natural Ochre (Ocre Naturel) is a good buy costing only Php975.00 per jar. Where to buy? I saw the product being sold at SM Department Store and Rustan's Makati.